And I too thought they were annoying at first. But truth be told: Hashtags serve an awesome purpose in the Twittersphere! 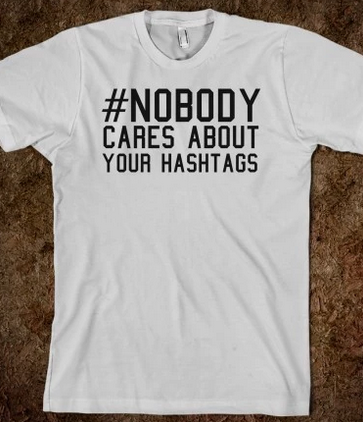 Think of a hashtag as a label. I compose tweets about literacy mostly - reading workshop, writing workshop, balanced literacy, phonics, etc. So when I use a hashtag in my Tweets, other Twitter users who do not follow me may find me because of the hashtags I choose and include to "label" my tweets. For example, if I tweet about the different ways to spell the long and short u, and I include #phonics in my Tweet, other users who are interested in phonics might find my tweet and then follow me if they are interested in the content I shared. If I post about my student bloggers on Instagram and use a hashtag like #edtech or #technologyintheclassroom, or I simply put a hash tag before the word blog or bloggers or blogging, lots of people will be able to find me if they search for blog stuff. If I am tweeting related to my alma matter, and I use #ASU in the tweet, other users who are interested in information related to ASU would be able to find my Tweet if they search #ASU. And, it's a great way for me to gain followers on Instagram and Twitter. So, next time you want to mock someone and their hashtags, give them a break - they're probably hoping to build their audience! 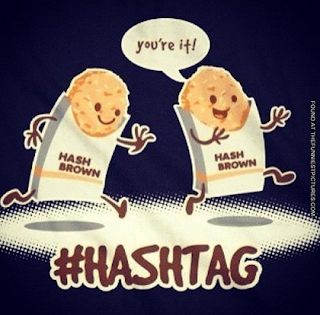 and one of the best things: I love the funny people out there making jokes with their hashtags! Check out #herecomesthemonkey for some interesting content!